The graphics are being changed (in part because of your feedback) with attention to providing better contrast on differently colored backgrounds. Other features coming up soon are notification when a video is buffering, and perhaps a time elapsed/total time indication. The design for the controls is about as simple as it can be, because much like the browser, it is there to help you navigate your content but not compete with your content. 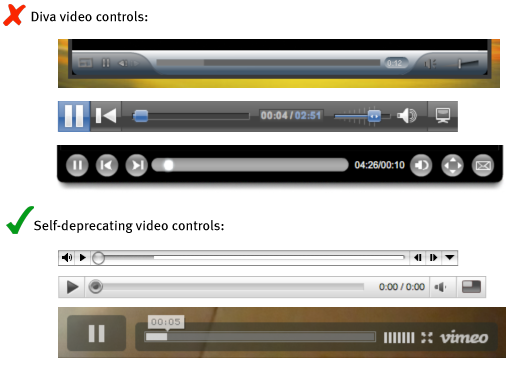 I was surprised looking around the web at how over-designed and branded so many video controls are.